Do you think you're not talented enough to win recipe contests? Think again! With just a little bit of tinkering, you could create delicious, original recipes that will delight your family and help you to become a contest winner. If you want to win, you'll need to come up with original recipes. Not only can you violate copyright law by simply copying recipes developed by other people. but most contests look for originality in their winning recipes. However, you can add a unique twist to an old favorite, or start with a beloved recipe and tinker with it until you have created something new. How? Here are a few different ways to ​find inspiration to create a unique recipe worthy of winning contests. One fun way to come up with an original recipe contest entry is to take a favorite dish and make it over in a style from a different cuisine. For example, imagine you're a big fan of pork chops or pot roast. How could you give that recipe a Chinese flair? What would happen if you added Italian spices? 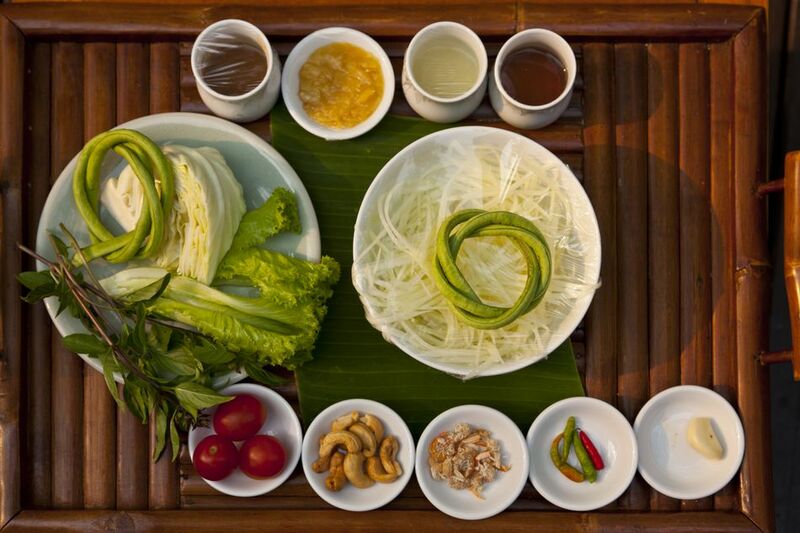 Can you imagine a Thai twist to your recipe? If you'd like to get some ideas for creating an interesting fusion recipe, check out the World Cuisines section of AllRecipes.com. Test out a few recipes from different cultures and see if you can use what you learn to make something that will wow the contest judges. My brother-in-law makes a fantastic chicken noodle soup. What makes it different? He uses vanilla flavoring in it. Vanilla is not something I ever would have considered using in chicken soup, but boy is it scrumptious! If you're looking for a way to make a recipe pop, try experimenting with some unusual flavors. The results may be terrible, but then again, you might end up with just what you need for a unique contest entry. A lot of companies are focusing on healthy eating these days, so if you are looking for an unusual twist that might catch a judge's eye, take a typical recipe and make it low-fat, dairy-free, low-carb, or otherwise healthier. If you'd like some inspiration for how to make recipes more healthy, check out this list of 83 healthier food substitutions from Greatist. Now imagine, what would happen if you combined those favorite parts into one recipe? Would it be something new that would capture the attention of a recipe contest judge? Why not try it and find out? Another way to make an original recipe contest entry is to take a basic standard dish and spice it up with an unusual sauce. Pomegranate sauce with chicken, hollandaise over warm tomatoes and mozzarella, there are all kinds of interesting ideas that you can create by being creative with sauces. The cherry on the top of whatever fantastic recipe that you've come up with is a great name for your creation. Judges see the name of your entry before they have a chance to learn anything else about the recipe. Think of a compelling name as a first impression. You need it to be as creative as your cooking. When you are looking for inspiration for your recipe, think about the name you'll end up giving your final dish. Try to choose a dish that lends itself to a good pun or a lavish description. That could give you a leg up over your competition. You don't have to be a gourmet chef to win recipe contests. You only need to have the courage to try something new and different, and to submit your recipes into the contests.